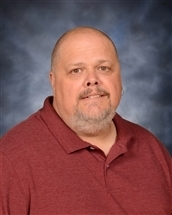 It is with great sadness that we are writing to inform you that Mr. John Lohoff, LdF School Counselor, lost his battle with cancer yesterday afternoon. Mr. Lohoff had been an active member of our school community since beginning here in 2005. Through last year, he taught developmental guidance classes, facilitated small groups, and met with students individually in grades third through eighth. Today, students in grades fourth through eighth were informed of Mr. Lohoff’s death. Counseling staff have been available throughout the day for children to talk to. Counseling staff will continue to be available for your child’s and your support. Watching your child go through the grief process can be very hard for a parent, please feel free to contact any of our counselors at the numbers below. Death, especially when unexpected, can be hard for adults to cope with and understand. For children, it can seem impossible. Children may have varying reactions to death. They may exhibit sleep disturbances, fears, repeated questions, regressive behavior (clinging to home and family), sadness or anger. They may need to talk about past losses in their lives. It is also normal for your child to show no particular response. The best way to support your child is to acknowledge their feelings and let them talk to you. Answer their questions honestly. It’s okay for your child to see your grief. We will post information regarding services for Mr. Lohoff on our Facebook page and Website for when it becomes available.